Last week’s Foodie Friday visited a restaurant in NYC with many gluten-free choices. 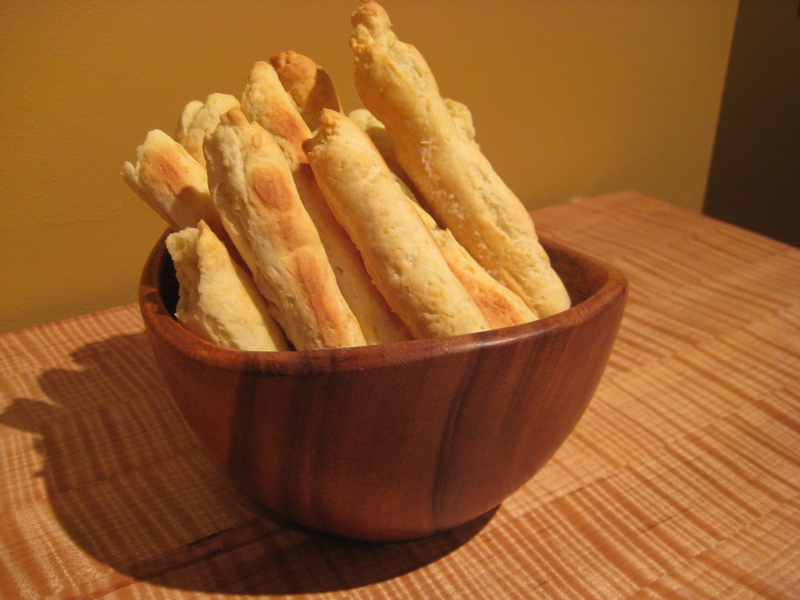 This week I’m continuing the GF theme with some delicious bread sticks made with Chebe mixes. You can find more info at www.chebe.com and usually I purchase this product at health food stores. I think Whole Foods may sometimes have it. 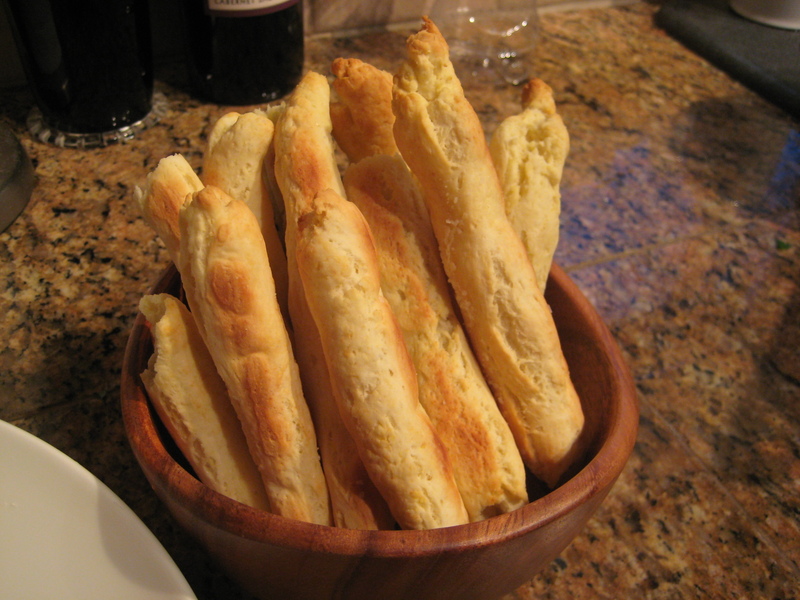 You can do anything with this stuff – roll it thin and top it with creme fraiche and caviar or chives, make a pizza crust with it (bake the crust before adding toppings, then pop it back in the oven to melt cheese) and, of course, you can make the bread sticks as pictured. The website and packages have more recipes. Trust me, there is a learning curve with the consistency and baking time, especially if you are not used to using GF doughs. However, the finished products are such wonderful GF options for baked goods. (More official disclosure, I love this stuff and buy it often – no contact with the company).